Vacuum annealing is of rare metal titanium material pipes in the process of machining process, this process is used in the vacuum annealing furnace, heat annealing treatment method are many, but of the titanium pipe by vacuum annealing annealing treatment, is a relatively rare metal processing field of new technique and technology. Well type vacuum annealing furnace series products adopt vacuum gas protection way, operation furnace first filling the smoke to a certain degree of vacuum furnace, high purity nitrogen or ammonia decomposition gas to protect the heating, so as to achieve no oxidation heating, no decarburization less bright. 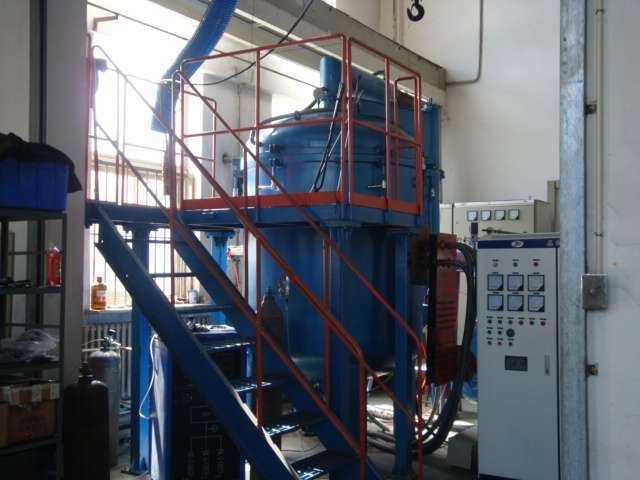 Due to the use of the mixing blower, the furnace has a high temperature uniformity. Equipment is mainly used in special steel, high speed steel, alloy steel, fasteners, copper, copper rod, copper tube, wire and cable, wire, wire, aluminum wire, environmental protection equipment, machinery or military enterprise, supporting enterprise mainly for mechanical parts, silicon steel, copper, copper no oxidation bright annealing, wire, etc. 2. The furnace cover can have a hot air circulation device, which can make the gas and temperature in the furnace can be uniform. 3. It can be used to pump air with vacuum pump to increase the speed of air change, and the gas is more pure. 4. There are protective gases. After annealing, the products are not oxidized, eliminate the processing stress, improve the magnetic energy of the core, and reduce the iron loss. 5. The furnace temperature control adopts PID automatic control temperature.